Hurry over to Amazon.com where you can pre-order the Limited Edition L.O.L. Big Surprise Doll for $69.99! This is going to be one of the HOT toys for 2017, so don't miss your chance to pre-order now. If your kids love surprise eggs and blind bags, they are going to love this L.O.L. 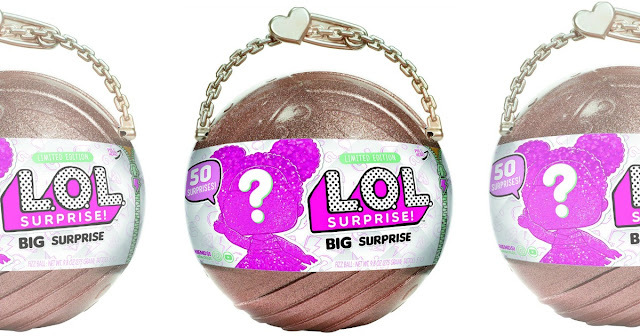 Big Surprise Doll – it will be filled with 50 never before seen surprises!